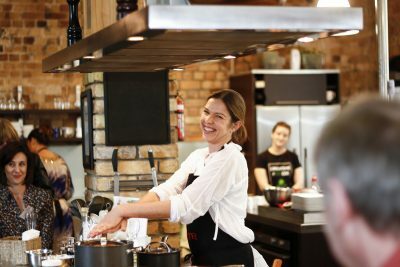 Yesterday’s article in the Herald by Niki Bezzant was, in writing, what I verbalise and hear constantly as I inspire kids and teens in the kitchen. My holiday cooking programs are filled consistently with children who simply love to cook and are not being given the chance at school. Many of those who I cook with tell me that they do Food Technology but all they do is bake. I find this so surprising considering where we are at as a Nation around concerns of obesity and the desire to improve the education around nutrition. My philosophy is that children need to learn the basics in the kitchen. This will inspire them to be in the kitchen more often, to be able to feed themselves when necessary and to make better and broader choices around food. Whilst they are still young, they love the opportunity to use a knife, to practice some of the techniques they watch on TV and to be able to produce a meal for Mum and Dad. These are the key years to engage with kids and to empower them with some responsibility around shopping and cooking. When we can capture them and their minds and show them practically how to cook, then it becomes a life skill. No different to learning to play the piano or to focus on hitting a tennis ball. As parents have become busier and the modern family has become the norm, it seems that the process of cooking and eating together has become less frequent. Yet, it is imperative to change the way food is bought and consumed, because a nation of kids who cannot cook (albeit terrific for me as a cooking coach) could result in a nation of adults who live on packaged foods. We don’t need to hear over and over again that a real diet of real food is better for us than packaged food. There are enough crusaders and documentary makers to fill our screens for a year with this information. People know this – yet they keep on with poor habits. For me, I don’t think there is any need to constantly be repeating the same premise to people, especially without digging deeper to see where the real issue may lie. Part of it is simple economics of course, but for sure a part of it is the lack of skill in the kitchen. “School is, as the researchers identify, an important place to learn basic life skills, of which cooking is one. We can’t assume this is happening at home any more. If a child grows up not knowing how to cook, as an adult they are going to have to entrust their own health to other people, only some of whom care about their health. ” Niki Bezzant, NZ Herald, May 29th 2017. Yesterday I worked with some of NZ’s most vulnerable youth. They are pretty capable kids in a lot of ways. Maybe in ways we would prefer they were not! Yet, not one of them had ever rubbed butter into flour and were unaware that it would create a scone dough. Last week we made our own pasta and they were amazed to see it was simply eggs and flour. Next week I am going to show them pizza, just so they can have an appreciation for yeast. Are these perfect and healthy meals? No, they are not, but I hope to show and teach some basics along the way. In baby steps I believe through this hands on approach these kids will be able to pick up a recipe one day and at least be able to understand how to follow it. If no one shows you how to rub butter into flour, you simply will not know what to do! So, come on NZ, it’s time to jump on board and really sort out our issues with child obesity. 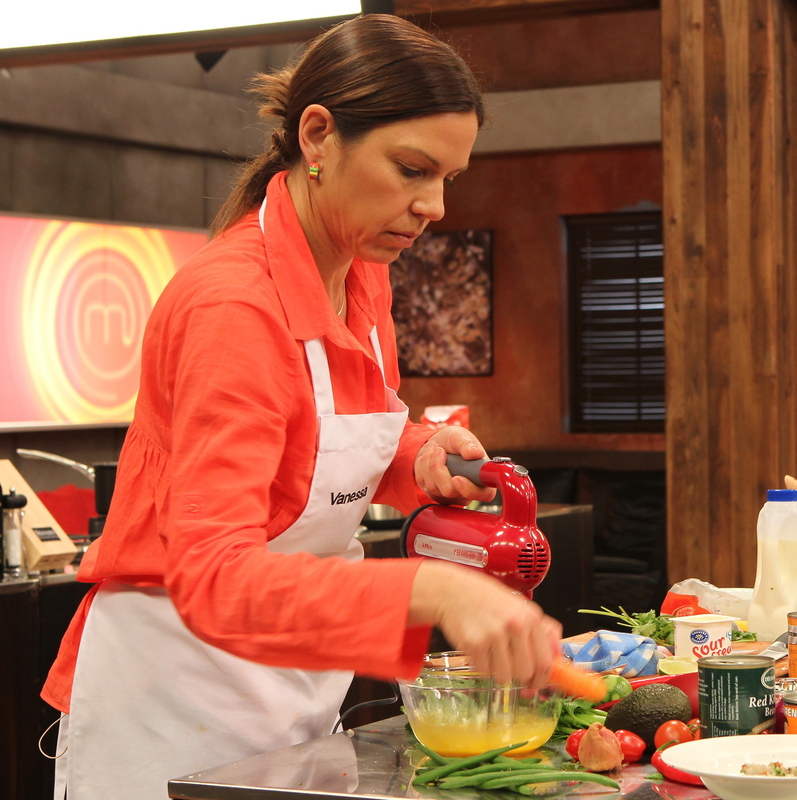 Let’s get Fearless in the Kitchen and get our kids cooking. What an interesting article and your views are so on point! I totally agree with the need for children to learn basics in the kitchen and how to cook meals. Wholesome nutritious meals so they at least can make informed choices when it comes to eating. I still remember being so proud of making my family a dinner…yep the potatoes were quite hard and my siblings were horrors about it (understandabley) but my parents ate everything (bless them) and thus began a love of creating for others …not just with food. 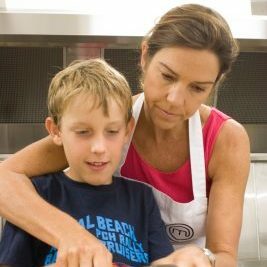 My 7 year old is keen to cook solo one night a week. What recipe book would you recommend? I’m looking at Kid Chef by Melina Hammer. Thanks! Tonight he’s cooking bangers and mash and coleslaw! He made pork larb and rice last night! He’s obsessed! Hope you try my book!! !